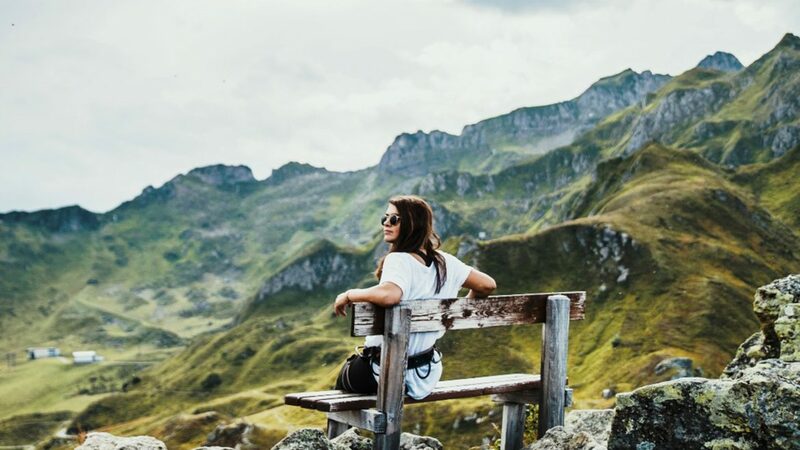 Hiking and breakfast - doesn’t that sound like a great combination? 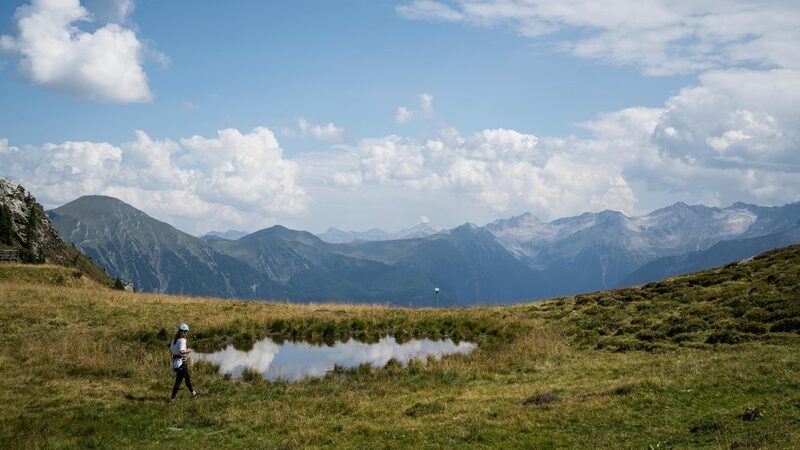 In the Gastein Valley, the Amoseralm offers the possibility to hike for an hour and then to reward yourself with a healthy breakfast. Blogger Nina Radman, a.k.a. Berries & Passion, was on the go for twelve hours in the Gastein Nature. And this is what she experienced. Getting up early, grabbing the first sunrays of the day and then enjoying a hearty breakfast at the Amoseralm after an hour’s hiking. Doesn’t that sound good? The hike on the Amoseralm takes one hour. It starts by going across meadows and then through the woods. However, this hike is not boring because many things pop up along the way that invite you to linger. For example, the Natural Kneipp basins where one wades through mud and thereby stimulates one’s circulation. Or the Bear’s Den, in which you are brave enough to venture into – or not. Shortly after leaving the forest, an Alpine pasture opens up for hikers in the midst of which sits the charming Amoseralm. Whoever registers the day before, get properly pampered for just € 15 Euros. Hot coffee, home-made muesli, scrambled eggs, bacon, cheese and crispy bread are served again and again, with the finale being fresh Pofesen which are as good as if Grandma made them. Full and satisfied, you head back into the valley and continue on to the ‘Hirschinger’ Via Ferrata. Waiting for Nina at the valley station of the Gastein cable car, Alex, the mountain guide from the Angerer Alpine School, took Nina along in the gondola. Once at the Mountain Station, Nina was strapped into the safety harness. The path to the Via Ferrata is a walk where one can prepare themself with views for the upcoming adventure. 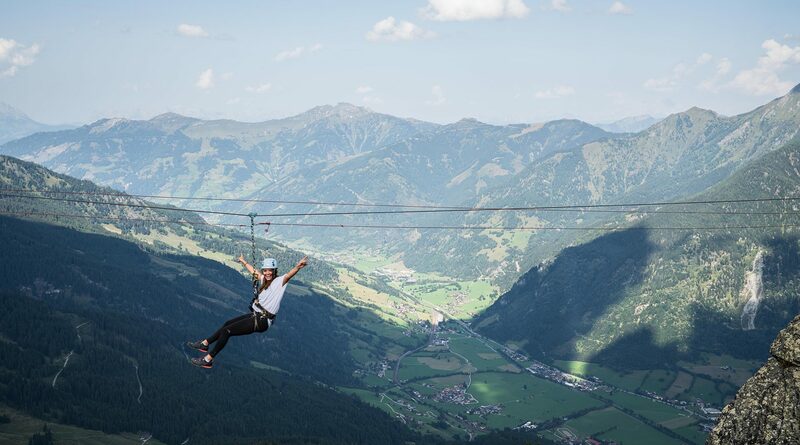 This fixed-rope course includes not only some difficult spots, but also a Flying Fox with which Nina swung from one peak to the next. Nina did well and Alex praised her for her climbing skills and courage. Such a statement from Alex’s mouth is a real compliment – after all, his Alpine School built this Via Ferrata. It ends directly at the Summit Cross, to which you can also hike up if you want to forgo the cable car ride. The walk from the summit to the cable car takes around ten minutes with a picturesque path leading back to the Mountain Station. Exhausted, they head down into the valley. The Alpine Spa is located just a few metres away from the Valley Station. This is exactly the right place for a short breather. In addition to the indoor pool with thermal waters, the thermal water lakes have recently opened. The healing waters come up into these baths completely free of any chemical additives. A swim therein also offers stunning views of the Hirschkarspitze – the mountain which Nina just climbed. 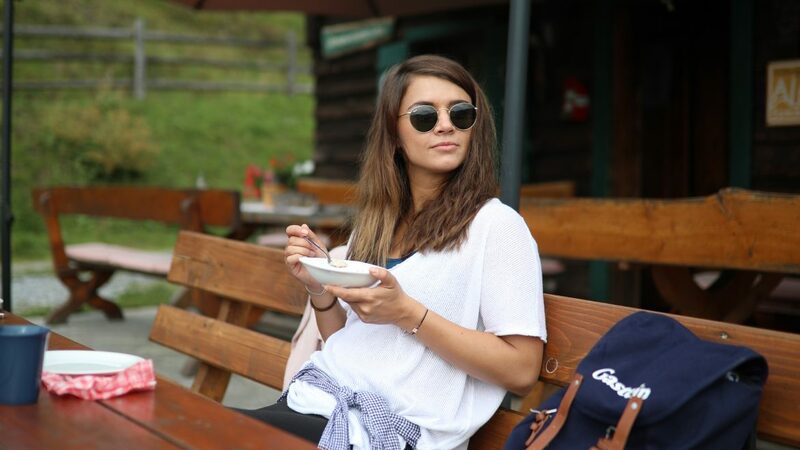 Nina stayed in the hotel “The Goldberg” in Bad Hofgastein. Along with the remaining day’s programme, this town has one thing in common – incredible views of the valley. The hotel is located on a hill and also has an infinity pool. The cuisine on offer is also impressive – a tasty menu is the perfect end for twelve hours of nature in the Gastein Valley.